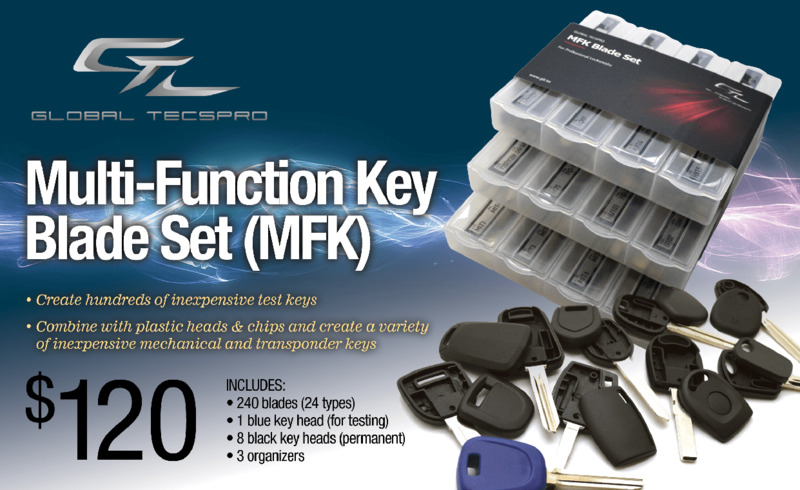 The new Multi-Function Key (MFK) Kit from GTL is poised to revolutionize the automotive key industry. One single kit will provide the flexibility to create hundreds of mechanical keys in 24 of the most common keyways. Combine it with MFK Heads and a handful of chips and now you've got the power to create TONS of different transponder keys. 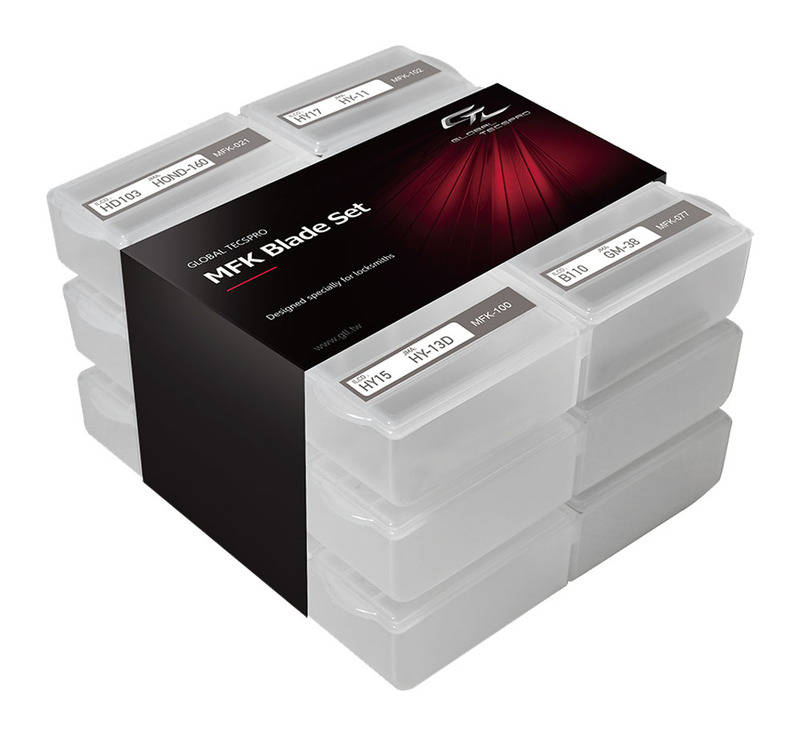 Clear up valuable van space and never worry about running out of the most common blanks on the market again! -Use as TEST KEYS : Using the reusable, blue universal head, cut these inexpensive blades and test in the lock before duplicating onto a more expensive transponder key or remote head key.